Derry start-up Silvertongue Software is an early player in the fast-emerging world of online education tools which use games technology and role-play worlds for an interactive learning experience. 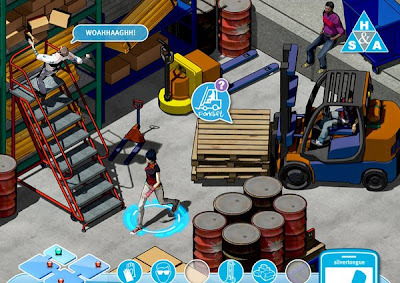 It recently won a contract with the Health Safety Authority to build an educational video game on workplace safety. Derry start-up Silvertongue Software is an early player in the Serious Game market that recently won a contract with the Irish Health Safety Authority (HSA) - the Irish equivalent to the Occupational Safety & Health Administration (OSHA) - to build an educational video game for teaching young adults about workplace safety. Still under development, the game uses gameplay techniques to teach health and safety rules in a way that makes it easier for 17- and 18- year-olds to absorb. The aim is to make dull guidelines more exciting. No easy feat when the message is to pass on advice on avoiding dermatitis in a hair salon or how to lift things in a warehouse. Users can wander into different workplace scenarios and embark on a whole range of tasks that will teach them about safety risks with measurement tests to evaluate what they have taken on board. 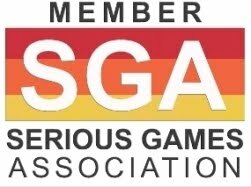 The HSA plans to launch the game in June as a free instructional tool on its website. Using a game development platform combined with flash software, Silvertongue has created an innovative pseudo-3D graphic style that suits the web delivery platform. “Delivering full-blown 3D over the Internet is very difficult to do; the user has to download software onto their desktop. We spent a lot of time finding a compromise that made it visually strong and easily accessible without having to download anything,” says Caroline Anderson. Silvertongue Software Ltd was founded in 2005 by Caroline Anderson and Dennis Heaney to represent Northern Ireland at the prestigious Dare to be Digital competition. The two co-founders of the company came out of a Higher National Certificate (HNC) course in Interactive Computer Entertainment at the college and were attracting interest from traditional game publishers, but it was a learning component in an early game that grabbed the most attention and persuaded them to change direction. 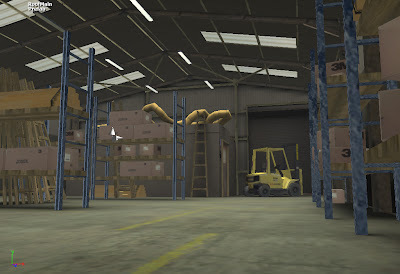 Run out of an incubator facility in North West Regional College, Derry, one of Silvertongue's earliest projects was a prototype game for teaching manual lifting techniques to warehouse employees. Developed at the request of eLearning provider Expresstrain.ie, this game was positively received, but considered too high tech for typical warehouse workstations at the time! 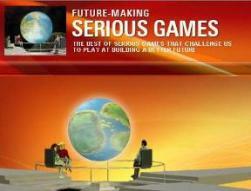 They have secured the contract to make Health and Safety Serious Game aimed at 16 and 17 year olds for the HAS; they have done mini-games for retail training; they did some work for the Centers of Vocational Excellence set up under Tony Blair, and Shell UK uses a number of their games to complement their staff training.